I've never been able to find out whose idea it was to make an English language version of the 'Qurbani' soundtrack, nor the reason for it. 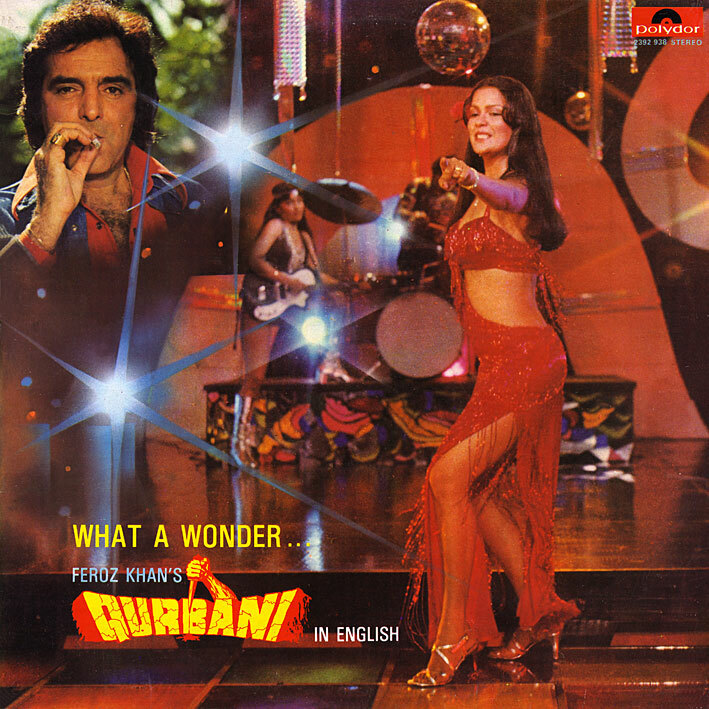 Biddu's involvement might have played a part; one can imagine Polydor wanting to capitalize on his reputation and fame in English speaking countries (primarily the UK) by releasing an 'international' version. But if that was the case, it's slightly odd that this album only came out in India, and not in Europe. I don't know, maybe it was a potentially good idea that simply didn't go as planned... to my knowledge it wasn't attempted again. I've heard people say that 'What A Wonder' is superior to the Hindi original. Perhaps that's just down to personal taste, or a language thing, but for me it's a valid claim. Several tracks make more sense to me here than they originally did. 'Each Time I Remember Your Pretty Face' is a different mix from the soundtrack version and consequently funkier and better, and Sharon Prabhakar's voice has a lovely English folk-singer-like quality which lends itself beautifully to 'Let's Do It' and 'If I Were Prince Charming'. But on the other hand, the film's biggest hit doesn't translate well. 'Aap Jaisa Koi', as sung by Nazia Hassan, was perfect bubblegum disco; the English versions aren't very convincing. Play the two albums back to back and decide for yourselves. One more movie I can remember of is Maine Pyar Kiya (1989)! The english version released as "When Love Calls"! Thanks. Looking it up, it seems that that one came about due to an English dubbed (and re-edited) version of the film itself. Amazing! New takes? Different studio session? Or same backing tracks with new mixes and new vocal takes? Will have to give this a good listen. Thanks again for great posts!